Snowbelle nudged me in the ribs. "Who's that?" I shrugged. "Father doesn't look too pleased to see him." She nodded, her large eyes wide. "I'm sure you and your little Usullyrn are quite well," the Usul continued. I didn't like his tone. "You always were superior to us, being descended from the great FrostPromise who made skiing a way of life for us snow Usuls. But enough of that. Where is my sister?" "Oh, great," I muttered to Angel and Tokum, who had come up beside me. "Just who we need." BlackDiamond Alpine, the best skier in our age group, and her mother were approaching. Her father trailed in the rear. "Icedart!" called Usulwife Alpine. "It is you!" Diamond had always been nasty to me, mainly because of my pitiful attempts at skiing combined with my lineage. Dating back to the Usul who discovered skiing, I ought to have been good on my skis. But ever since the annual Happy Valley Snow Fest late last winter, when I had emerged second place in the snowboarding finals, she had very nice to me. Too nice in fact, almost ingratiatingly so. It was quite obvious that she and her two best friends, a pair of twins named Sugarfrost and Winterheart, were only trying to get my friendship so they could brag about being friends with the only snowboarding Usul known. I had tried hard to avoid them, but they always seemed to be in my path. Finally I had snapped at them to get lost, and that had settled the matter. After that they simply regarded me with the same disdain they always had, only now they were envious of my ability for snowboarding. Not that I minded. Better the Dark Faerie you know. "Snowyoung!" The red Usul swept Usulwife Alpine up in a tight hug. "My dear sister! How have you been?" "No different since leaving," said Usulwife Alpine warmly. "This is my daughter, BlackDiamond," she added, pushing Diamond forward. "And you know my husband, Hail." Usul Alpine smiled somewhat frostily at his wife's brother. "And how have you been, Icedart?" "Never better, my dear old friend," replied the red Usul, whose name, I gathered, was Icedart Sleet. Of course, I had to call him Leader Sleet, being the leader of an Usullyrn as he was, and that's what I'll call him here. He waved a paw at the three Usuls with him. "I presume you both know my wife Glacia. These are my daughters: Frostys and Mistletoe." Frostys was one and a half years old, my age. She had obviously taken a trip to the Rainbow Fountain while it had been flowing: her ruff and the ribbons around her tail and ears (all tied in huge floppy bows, much to Angel's and my distaste) were a pale, pretty pink, and on her back were two large, translucent, glowing forest-green Faerie wings, which shimmered and fluttered, giving them a surreal look. She had a smirk on her face reminiscent of Diamond's, and to me, at least, it was obvious they were cousins. Diamond, Sugarfrost and Winterheart greatly admired her wings. "Look at that," I said to Angel, "fawning all over her, like they always do with Usuls with new things." "Her wings are rather pretty," said Tokum unexpectedly. For some reason, I found that I disliked Frostys even more than I had. "Tokum Treedodger," I hissed, "what do you mean by that?" He looked at me expressionlessly. "What's wrong with a simple comment? You don't own me, you know, Holly." I growled and turned my attention to the younger sister. By contrast to her sister, Mistletoe Sleet instead of wanting to be the centre of attention, seemed to prefer fading into the background. She was about as old as my twin siblings, a year, and she stood, her ears and tail, tied with their green ribbons, drooping slightly, large eyes vacant of any particular expression, while she absent-mindedly sucked on one of her paws. She jumped slightly when she noticed us observing her, as if she wasn't used to getting attention. "And who have we here?" Leader Sleet walked up and towered over us, a grin on his face that I didn't like very much. "Your brood, Snowpaw?" "Yes," said Father curtly. "These are my daughters, Hollyfrost and Snowbelle, and my son Icechip." I filled with a quiet rage as I saw Leader Sleet's eye travel over all three of us and finally rest on my snowboard. A glint had appeared in them that was a mixture of surprise and disbelief. Father evidently noticed that too. "Is there a problem, Sleet?" Leader Sleet jabbed his paw at me. "Do you or do you not notice that your elder daughter is carrying a snowboard? Where are her skis?" "Holly," said Father, softly, "doesn't ski." "Not ski?" Disbelief was evident in Leader Sleet's voice. "You know that isn't natural. Something must be done about it-"
"Don't talk about me as if I've got a disease," I snapped, loudly. I was about to ignore him when Angel squeezed my paw, hard. "Ah. Well, we had better be going." The coldness was evident in Leader Sleet's voice. He called his family and the four of them made their way off to the village. Usulwife Alpine bristled at me. "You have some nerve, young Usuless, talking to an Usullyrn leader like that! I would have thought your parents had brought you up with more manners!" "Snowyoung Alpine." Father's tone was stern. "Holly did wrong to shout at Leader Sleet, but I do not think it appropriate for you to discipline her for me." Usulwife Alpine scowled once, but kept quiet. I giggled inwardly. It was fun seeing an adult Usul I didn't like very much being scolded like a naughty Usuling caught with his paw in a freezer full of snow puffs. When Father had led us to our ice huts and gotten everyone settled he collapsed on a nearby wood chair. Snowbelle pottered over, her face concerned. "Father, who was the nasty Usul?" "Mrs. Alpine's brother, Icedart Sleet," Father said wearily. "Mrs. Alpine met Mr. Alpine on a summer trip like this one, and Mrs. Alpine left her Icewind Usullyrn to join ours. For some reason, Leader Sleet and I…we are not the best of friends." He turned to me. "But you still shouldn't have shouted like that, Holly." I nodded. "Yes, Father. I'm sorry." "You aren't going to punish me?" "As long as you won't do it again, no. He was asking for it." I grinned and dashed off to my chosen bedroom to unpack. That day was wonderful. Angel and Tokum joined me outside after unpacking and preparing was done, and we set joyously off for the slopes. There turned out to be a ski lift up the side of the pass, but only on the inside; outsiders still could not enter. The other young Usuls were out on the slopes as well. Snowbelle, it seemed, had finally finished arranging her Plushies on the shelf in the room she was sharing with Icechip (when I had left she had been at it with a will, while Icechip alternated between exasperatedly shouting at her to hurry and muttering something under his breath that had sounded like, "Girls!") and both of them were here bubbling with excitement on the slopes with a gaggle of other Usuls their own age. Angel's younger brother Ridgerunner, despite being three months older, was there too. I noticed Mistletoe Sleet among the throng as well. Good, I thought to myself. Even if she did look rather on the below-average-intelligence side, and had a show-off Faerie for a sister, the twins had accepted her into the gang. She would have friends; it might bring her out of her shell. Chillbane Mogul, one of the best skiers in our age group, waved to us as he flew off down the slope with his own buddies. We waved back. It felt strange to me, as I watched him go. Before the Snow Fest it had seemed like I would have done anything to get him to notice me, but now he had asked me out on ski outings, just the two of us, and I for some reason found myself refusing him. At any rate, it was like it was most days at home, just me, Angel and Tokum, flying through the snow on our different transports, only on a much larger scale. The snow on the slopes around Glissade Haven was smooth, crisp powder that yielded so softly and easily to our passage like the perfect whipped cream on a Faerie Cake I had eaten once. There were barely any rocks or ice to be felt underneath our boards and skis, and if there were any rocks, they were the kind that stuck out of the snow for one to jump off, not the kind that scratched the bottoms of your skis or snowboard and threw you off balance. Some slopes had bumps (which Tokum liked) some were steep (which Angel liked) and more often than not there was a trail which ran alongside the massive bulk of the mountain which formed a near vertical wall beside us, and provided lots of opportunities for jumping or carving a trail through the snow up the slope (which I liked). We all had maps of course, in case we lost our way, and allowed us to form our own trails. We took turns with picking routes to follow and had soon found our favourite runs. Tokum loved going down an incredibly bump-covered slope called Mortog Way, Angel favoured an almost vertical affair called Snowy Waterfall, while my personal favourite was a long gentle trail called Gelert Tail that wasn't so flat that you stopped moving and either had to walk or slide yourself along, and also had a nice steep mountainside to slide up and jump from. We were standing at the top of a run called Cobrall and contemplating it when there was the swish of skis and several figures stood in front of us, blocking our way down. 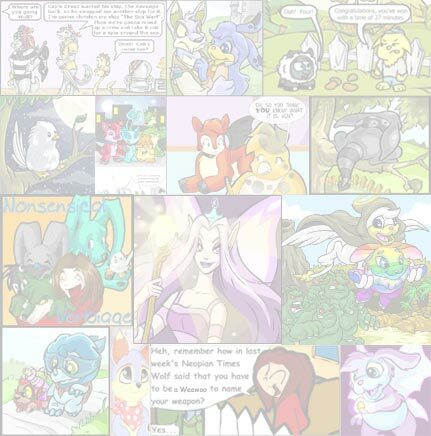 It was Diamond, Frostys, Sugarfrost and Winterheart, with some other Usuls our own age that I hadn't seen before. "What do you want?" I asked, none too pleasurably. Freebies are great. I'm all for freebies. But there is a lot more to Terror Mountain than hauling off a free Deluxe Candycane or a Squeaky Rubber Bruce Toy. Oh yeah. I haven't introduced myself. I am Gohan_super2001, a blue Shoyru. I am 15 years old and I live in Neopia Central. 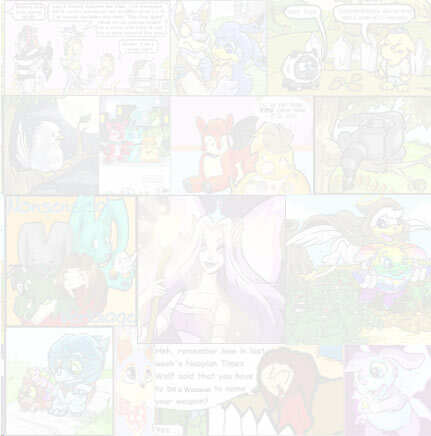 I am the only Neopet living with my mom. I cannot even begin to explain how alone I am. No one can possibly understand what it means to be the Essence, the embodiment of Neopia. Something was clouding his thoughts. Clouding his mind. Making him...uncomfortable. Wary. Afraid. This was not the first time he had experienced this feeling.